How can destination managers embrace sustainability to maintain or gain destination reputation and competitive advantage? The increasingly visible symptoms and consequences of overtourism are putting destination sustainability in the focus of media attention and resident concerns. Whether a more sustainable tourism remains a utopian vision or will, at least on a local or regional level, become reality, now to a large extent depends on destination leaders and managers. A tough job, which the following tips and suggestions by leading sustainable tourism professionals will hopefully make a little easier (tips on how to get started with sustainability in your tourism business here). Being small means, most of the times, difficulties. If you are small and insular, then we need to add distance, lack of critical mass, vulnerability, risk, endemicity, and many other conditions that can only be addressed through sustainability, efficiency and not following the usual path. There’s when sustainable development becomes a decisive tool for ensuring that the decision-making process considers the impacts and benefits under a multi-sectoral approach, and not simply by the cost-benefit analysis. Tourism investments should be tested and shaped under a sustainability vision, as tourism brings several and significant impacts that most of the times are not considered at the time of the decision. For instance, the use of water, landscape, waste production, energy, impacts on biodiversity should be considered together with the usual indicators, such as employment and income. But even these classic topics should also be assessed differently. For instance, number of jobs tells nothing about the quality of these jobs, if they are just and fair. Your advice to destinations looking to expand their sustainable tourism development? I think we should be careful with too much of a top down and “one size fits all” approach. Bottom-up and smart networking is often preferable. Local destinations should look for local partnerships and attract attention of investors and get government support by doing things right. Sharing a vision as a local destination is key. The destination Bonito in Brazil is a great example of that. At the national level, the focus should be on leveling the field of play for sustainability. We should also be realistic. Still too many destinations are focused on quick, often international fame and waste energy on infighting. For longer lasting success, you need to patiently build the right foundations. That means being able to have a long-term view and ignore the myths of high growth and easy riches. The destinations that succeed, realize that an attractive destination is good for visitors and the visited, that it is hard work to keep the stakeholders aligned and keep market interest over the years. You grow slower, but better in the beginning, but then avoid the dreaded decline phase of the Butler curve. So you create more benefits in the long run for business, the community and the environment. Be clear, coherent and consistent in your marketing in order to attract the right kind of tourists. Don’t try to be everything for everybody, don’t exaggerate. Sustainability is an internal concept, it is not the first thing that attracts people to a destination or product, but helps assure them that they are making a good choice. By enhancing the experience (be it ecotourism, adventure, culture, beach or other) with “sustainability inside” it will contribute to a positive word-of-mouth. And, finally, it is essential to establish key indicators that will help you to monitor performance, identify problem areas and help you improve. Or, if it is outside of your control, help persuade others to support changes. And, ideally, these key indicators should be public. Remember, you can´t manage what you do not measure. Create a discussion forum to demonstrate and debate all of the implications of the tourism sector, with all those who may be affected by its consequences, both beneficial and harmful. Introduce the parameter of tourism density in urban planning. Promote sustainable and responsible tourism, distributing the benefits to both the community and the territory, and generate more opportunities for those who want to take advantage of the momentum and transformation of the sector. Improve and increase transportation to the outskirts. Increase inspection with the clear intent to penalize illegalities, motivate quality, and accelerate the process of closure if required. 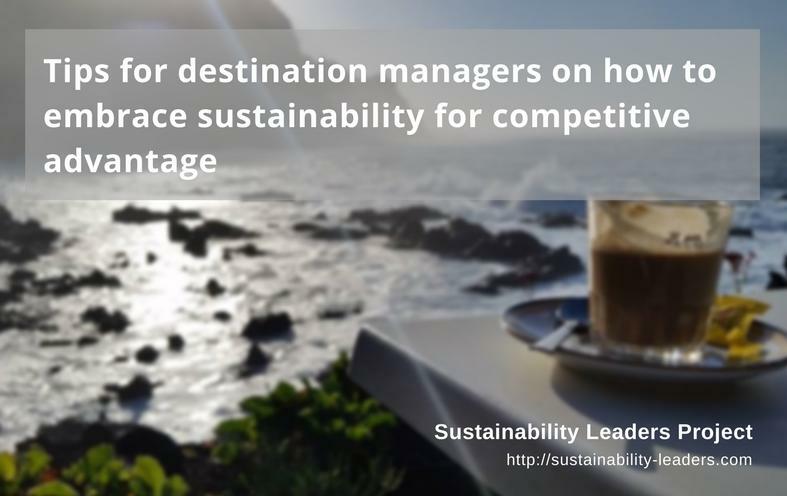 Your advice to destination managers eager to embrace sustainability and to turn it into a reputational and competitive advantage? Discover, protect, and responsibly develop your unique cultural and natural assets. Authenticity and distinctiveness cannot be undersold by cheaper competitors. To do that, form a destination stewardship council, with public, private, and civil-society membership, tasked with protecting nature and culture, enhancing quality, and marketing responsibly to appropriate tourism segments. As noted above, established destinations should incentivize high-quality tourism and disincentivize high-quantity tourism. Count success not by increased arrivals, but by benefits per tourist. Solitude – it sells. Look at Iceland – that’s what they’ve been selling since the mid 2000’s. The marketers recognised it – the problem is that the managers failed to protect it. Use that advantage to sell an experience that’s priced to maintain quality, and available in quantities that are manageable, and that protect the product – the destination. Work with your regulators. The disconnect between what a destination had– such as Tulum – a quiet, relaxed corner of Mexico not yet overrun with resorts – needs to be appreciated by those regulators. They need to understand what value they have today, and how not to degrade that value proposition. Learn to speak their language. Enjoyed those tips for destination managers on how to embrace sustainability? Share and spread the word!